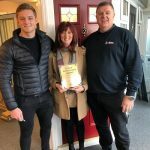 The home improvement industry’s leading insurance backed guarantee and deposit protection provider has launched a campaign, which it says will become to the window industry what the famous meerkat from ‘compare the market’ is to consumer insurance. 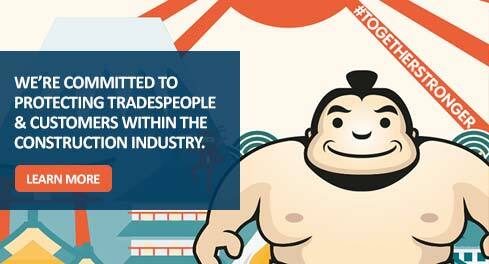 The campaign is called #TogetherStronger and fronting up the campaign is sumo Yuki – a wrestler from Japan who will work tirelessly to protect the industry from unscrupulous tradespeople, protect the majority of good home improvement companies, and promote best practice across the industry. The CPA has been providing IBGs and Deposit Protection for over 20 years and is widely recognised by consumers as a trusted resource for finding accredited and vetted installers. In addition to helping installers win more business, members can also take advantage of powerful sales and marketing literature, training seminars and a sales training guide. CPA members also get access to the sought after quarterly assessment reports. Every time an installer registers an IBG, once the job is completed the consumer is sent a questionnaire to fill out, asking a series of questions about the installer’s work and approach. This data is then collated by the CPA and sent to the installer in the form of a quarterly report, helping them to identify areas of service for improvement and increase best practice. Together with Yuki, the CPA is reinforcing the message that as a member, installers have these tools to help them to engage with consumers and win more sales in the home improvement market. In 2015 the CPA ran a campaign to reduce VAT on new-builds and met with Nadine Dorries MP to air concerns from their members and discuss issues affecting the construction industry. The CPA will also be running a competition on its website to rename Yuki the sumo. You can keep up to date with all the latest on Twitter with the hashtag #TogetherStronger. This entry was posted in CPA news by Consumer Protection Association. Bookmark the permalink.